6/07/2018. Text and photo by Marta Daniela Santos. Gonçalo Curveira-Santos, Martina Panisi and Gonçalo Costa, students at the Centre for Ecology, Evolution and Environmental Changes – cE3c, at the Faculty of Sciences of the University of Lisbon (Portugal), were distinguished by National Geographic with three Early Career grants to develop projects in Biodiversity and Conservation, which will improve the study of several species in different latitudes of the African continent and raise awareness to the need of its conservation. 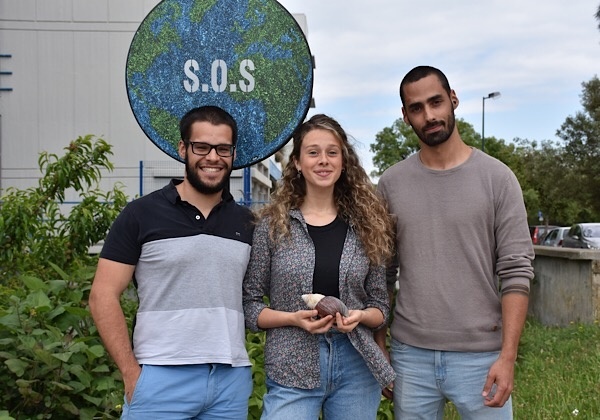 Carnivores, giant snails and cicadas: these are the species with which Gonçalo Curveira-Santos, Martina Panisi and Gonçalo Costa will work in the coming months, with the financial support of Early Career grants awarded by National Geographic. 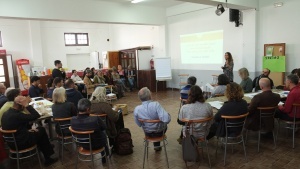 The projects will take place over the next twelve months and will allow them to continue and improve the work they are developing at the Centre for Ecology, Evolution and Environmental Changes – cE3c (Faculty of Sciences of the University of Lisbon - FCUL, Portugal). South Africa is a privileged region to study the human impact on terrestrial carnivores – such as lions, leopards or jackals, among others – because of the high diversity of species living there and the varied range of landscapes where protected areas coexist with private reserves and human-dominated landscapes. 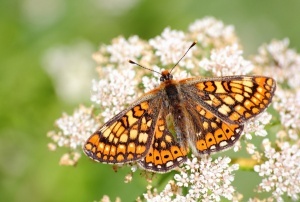 These species play an important role in the structure and functioning of ecosystems, but they are also very sensitive to environmental quality, in particular to human-induced disturbances. How does human activity affect how these animals use space and how species interact with each other? This is the question that Gonçalo Curveira-Santos, currently developing his doctorate at FCUL, wants to answer: “In July [of 2018], in the dry season, we will install about one hundred cameras in a protected area in KwaZulu-Natal, a South African province. Once we identify the species in each photograph, and based on the time and location registered, we will evaluate the composition of the carnivore community and model how the spatial organization of the species varies between different landscapes, depending on the level of human disturbance and the presence or absence of large predators”, explains Gonçalo Curveira-Santos. This funding widens the range of landscapes under analysis in a work that began in 2017, when Gonçalo and colleagues installed about two hundred cameras in a region of about 450 km2 on the South African East coast, which included private reserves, cattle ranches and Zulu tribal communities. “By better understanding how carnivores, including smaller species often ignored, respond to human-induced environmental changes, we will be able to contribute to the design of more effective conservation and management plans for predators in this region”, concludes Gonçalo Curveira-Santos. In São Tomé and Príncipe we find a species of giant snail that only exists in this archipelago: Búzio-d’Obô (Archachatina bicarinata). This species is used by the population as food and for medicinal purposes, and its intensive collection is one of the factors that led to its rapid decline in the last decades, together with the destruction of its habitat and the introduction of invasive species. In this project, Martina Panisi, now starting her doctorate at FCUL, will continue the work she started in her Master’s degree, using the history of this species as a starting point to raise awareness to the importance of conservation of native biodiversity and the role of each person for its safeguard: “We want to bring the history of this species to the schools and communities of São Tomé through classes and debates that we will carry out from October onwards”, she explains. With this initiative, Martina Panisi intends to reach partners and organizations that can help develop conservation plans for the species in the country, as well as reach a more international audience – an objective for which the visibility given by National Geographic is essential: “During our stay we will use social media and storytelling techniques to share our experience and reveal a little about the biodiversity and culture of São Tomé”, emphasizes Martina Panisi. Morocco is a very rich region in its diversity of habitats, and it is also particularly vulnerable to the consequences of climate change. It is also rich the diversity of cicadas that exist in this region – those insects well-known for the unique characteristic song of the males, generally specific of each species, to attract the females for mating. But the scientific description of the Moroccan cicadas is still very poor, being based on old specimens and still without accoustic recognition. Is it possible to record the songs of cicadas in Morocco, and to study their biology, before climatic changes and human-induced environmental disturbances lead to their extinction? “We will use an integrative approach to study these little-known species. The added value of our project will be to bridge the gap between the scientific world and the population. 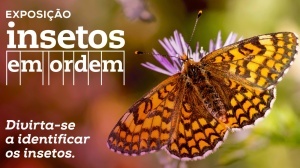 We are looking for sponsors to increase the visibility of the project”, explains Gonçalo Costa, Master in Evolutionary and Developmental Biology by the Faculty of Sciences of the University of Lisbon (Portugal) and responsible for this project. The expedition to Morocco is scheduled for July this year, and Gonçalo Costa predicts that the data they will collect may lead to the discovery of some cicada species new for science. “We recently discovered two new species of cicada singing in Morocco and, with the support of National Geographic, this number will only increase”, says Gonçalo Costa. These students will not be alone in this adventure – in each project, two to three researchers will guide them in the development of the research work – more information about each project and its team is available below. 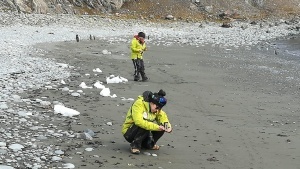 National Geographic Early Career Grants are designed to give early career students the opportunity to lead a conservation, education, research, storytelling or technology project, with no need for advanced training. More information about the Nationsl Geographic Grant opportunities is available here. Head of project: Gonçalo Curveira-Santos (cE3c – Centre for Ecology, Evolution and Environmental Changes, Faculty of Sciences of the University of Lisbon, Portugal). - Lourens Swanepoel (University of Venda, South Africa). 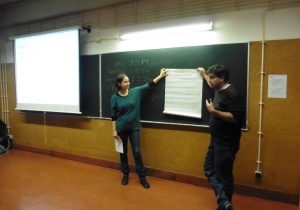 Head of project: Martina Panisi (cE3c – Centre for Ecology, Evolution and Environmental Changes, Faculty of Sciences of the University of Lisbon, Portugal). - Vasco Pissarra (Faculty of Sciences of the University of Lisbon, Portugal). - Ricardo Faustino de Lima (cE3c – Centre for Ecology, Evolution and Environmental Changes, Faculty of Sciences of the University of Lisbon, Portugal). - Paulo Nuno Vicente (Faculty of Social and Human Sciences – New University of Lisbon, Portugal). More information available at http://vascopissarra.pt/forest-giants.html . Head of project: Gonçalo Costa (cE3c – Centre for Ecology, Evolution and Environmental Changes, Faculty of Sciences of the University of Lisbon, Portugal). - Eduardo Marabuto (cE3c – Centre for Ecology, Evolution and Environmental Changes, Faculty of Sciences of the University of Lisbon, Portugal). - Raquel Mendes (cE3c – Centre for Ecology, Evolution and Environmental Changes, Faculty of Sciences of the University of Lisbon, Portugal).